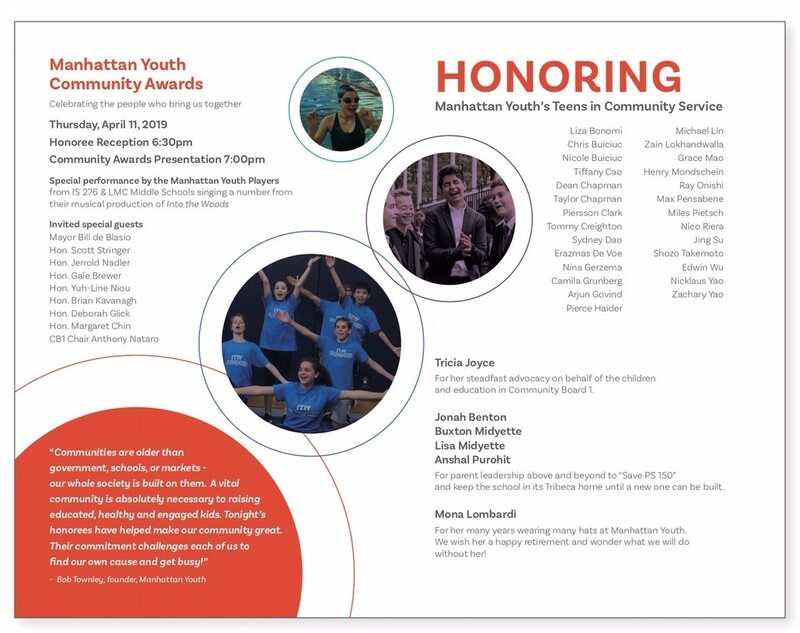 Please join us for music and food, and a ceremony honoring volunteers, students, staff and community supporters of Manhattan Youth. We hope to see you there! Tickets will also be available at the door for $15 each.